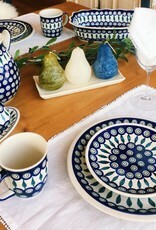 Salt & Pepper Set - Peacock - 7.5" x 4.5" x 3.5"
This beautiful salt & pepper set will compliment any table. 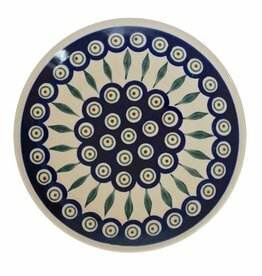 Polish pottery peacock pattern dinner plate! 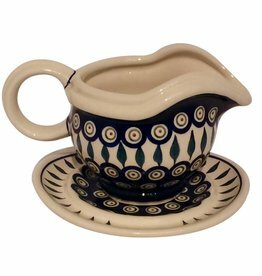 Beautifully decorated Peacock pattern gravy boat. 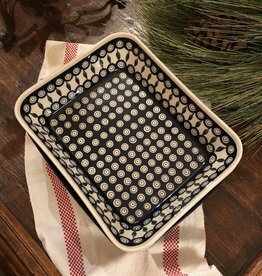 Oven, microwave and dishwasher safe. GET YOURS TODAY! 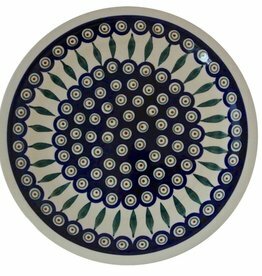 Scalloped Serving Dish / Casserole - Peacock - 11.75" x 8.5" x 3.5"
Polish Pottery Oval Platter - 14" x 8¼". BEAUTIFUL!!! 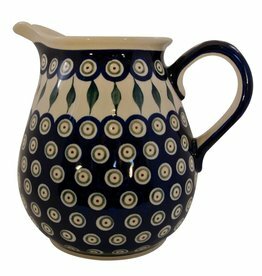 Beautiful Polish Pottery peacock pattern pitcher. 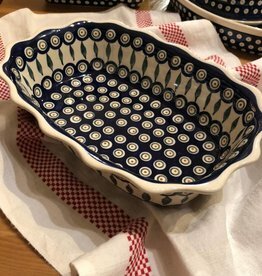 Polish Pottery Bowl. Perfect for soup, salad or cereal. GREAT PRICE! 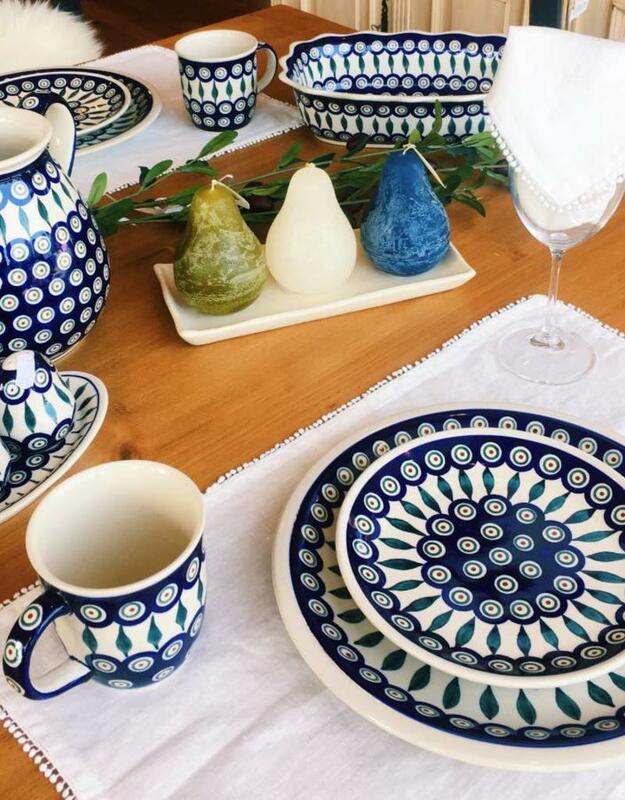 Beautiful peacock pattern salad / dessert plate. 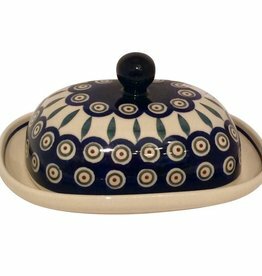 Beautiful Polish pottery Peacock pattern butter dish!